"Encore of the Warriors Dance"
Truman Feather Lance is a modern warrior who rose above many challenges to become a success in life, lead his tribe to become a global sovereign tribal nation, and help preserve the ancient tradition of the Black Leggings Warrior Society. Ah Oi Hole (Kills Him Twice) is a good Kiowa name, passed down from many generations to Truman Feather Lance - a modern day Kiowa Warrior who fought through many challenges to become a powerful and successful international business leader, and later lead his people to become a powerful tribal nation. This is the story of fighting all odds against him to overcome poverty, racist barriers, alcoholism and personal tragedy to achieve global success while finding empowerment in the old Kiowa Warrior traditions and continue to celebrate through the unique dance of the Kiowa Black Leggings Warrior Society. This ancient society has its own ceremonies to celebrate its unique place as the protector of the Kiowa tribe, of the Indian people, and of their own families. 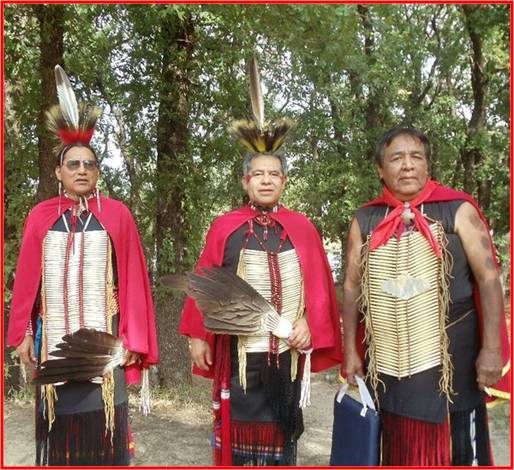 They are the heroes to the young men who aspire to become a Kiowa Black Leggings Warrior some day. Truman Feather Lance brought honor to the name of Ah Oi Hole with his bravery, his shrewdness, his love for his people, and especially for his faith in the Creator. This is the story of how a Kiowa man built an international company to become a billionaire and help lead his people to success in the Twenty-first Century. Most importantly, he helped to inspire his fellow Kiowa men to once again stand tall and proud ... and regain their rightful place as proud, strong protectors and leaders of their tribe. But more importantly, as proud, strong protectors and leaders of their families and their communities - by embracing the ancient Kiowa Warrior teachings. Finally, he fought to keep alive the great Kiowa Black Leggings Warrior Society ceremony and dance as the cornerstone of the rich Kiowa traditions - few of which still exist. This is the story of the "Encore of the Warriors Dance." We Are Not the Enemy America!